The staff at Mayoor School Ajmer bid emotional farewell to Smt. Rajni Yadav, Smt. Nusrath Fathima, Smt. Pragya Sharma and Smt. Manju Dhabhai on March 31, 2019. 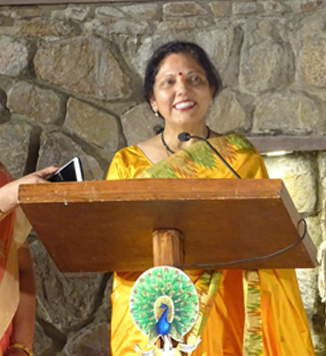 Teachers from the staff put up a short cultural programme which was followed by a dinner. A special assembly was held on April 1, 2019 to bid farewell to four stalwarts of the school. The Principal, Shri. Adhiraj Singh felicitated them and wished them a bright and happy future as they superannuated.